For the past 100 years or more, the teaching of leadership has always revolved around conducting comparative analysis between one person and another. We approach leadership in terms of one’s qualities, characteristics and traits. We also tend to compare, copy, idolize and even specify the shape, size, depth and colour of what a perfect leader looks like! On the contrary, leadership is never about a person; it is not a personal pronoun but a collective noun. Neither is leadership about IQ, EQ, SQ, CQ, etc. 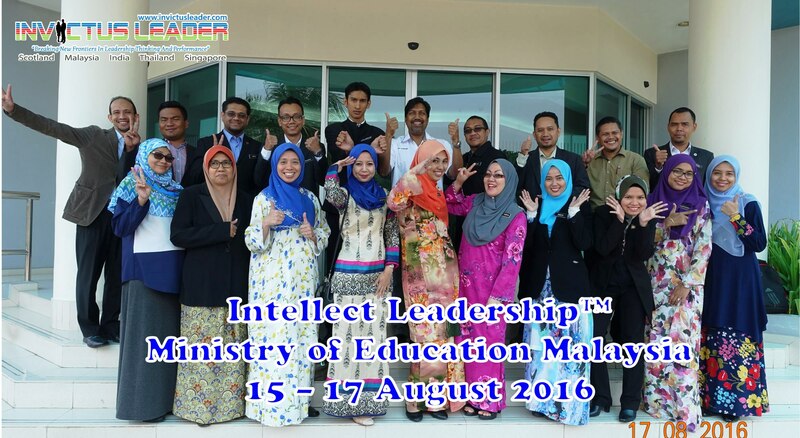 Instead, leadership is about engaging your thinking with intellect. Leadership is never about focusing on a chosen one, but it is for everybody and anybody who wants to develop his or her leadership talent. As long as we have survival instincts in us, we can ALL be leaders. Leadership is not so much about a particular set of characteristics or traits, but it is related to our very own intellect. 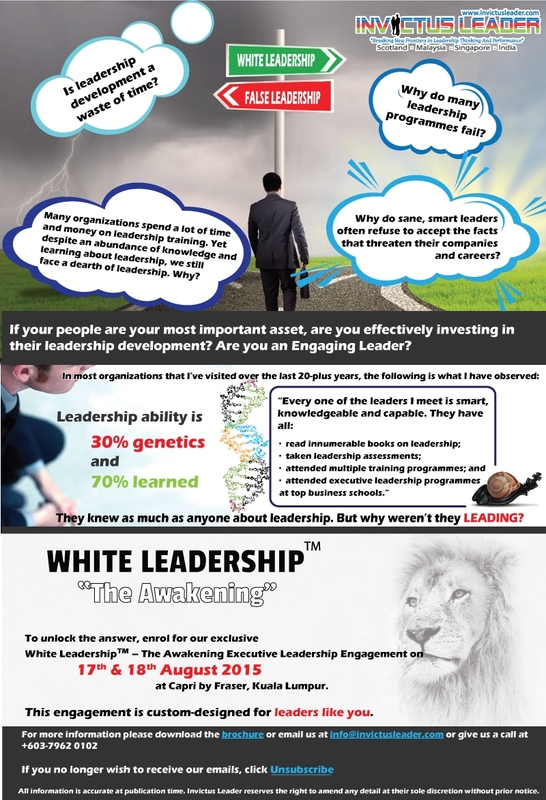 Leadership is within our DNA, and it is more accessible to all of us than we think. Thai Bev’s Intellect Thinkers Trailblazers for IR4.0 & beyond! 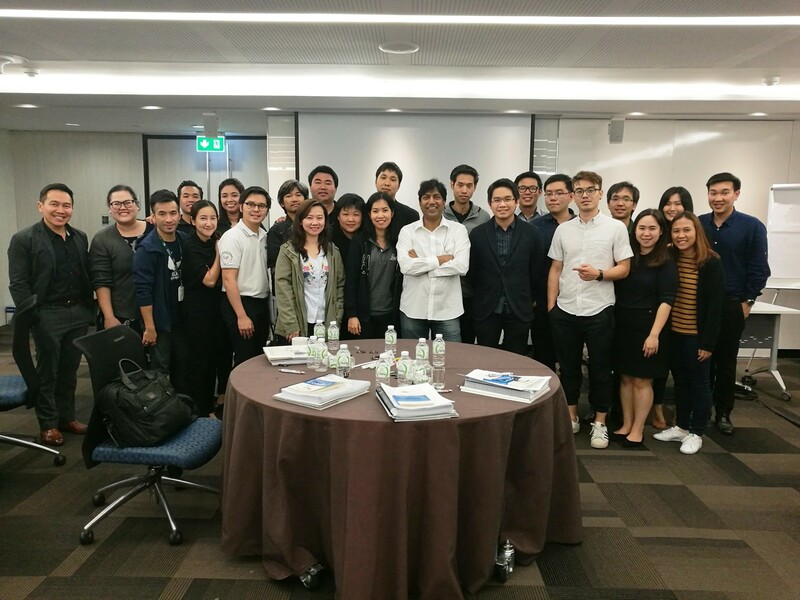 The first batch of Rocketeers and Returning Scholars of Thai Beverage graduating from The Art & Science of the Practice of Intellect Thinking were engaged with the presence of Khun Thapana Sirivadhanabhakdi, President and CEO, and Dr Agapol Na Songkhla, Chief People Officer of Thai Beverage PLC. The journey started 6 months ago and now their adventure begins. 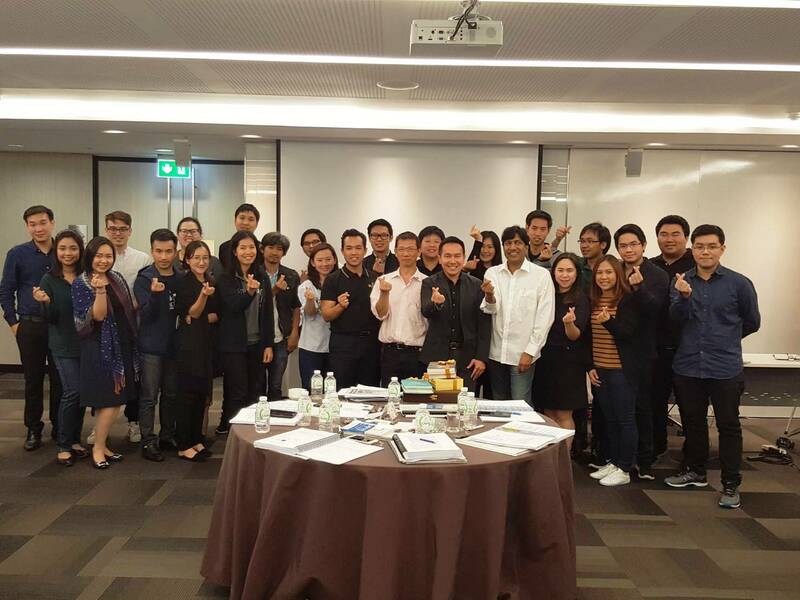 These are bright and highly energised people with a hunger to be a better group of individuals from diverse backgrounds across Thailand. I am humbled by their determination to improve themselves although English is not their first language. Thank you, Rocketeers and Returning Scholars, for giving me this privilege to be part of your journey and I wish all of you Godspeed. 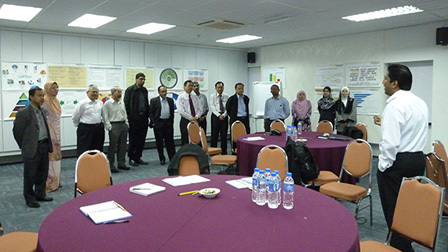 Pos Aviation Sdn Bhd, a subsidiary of Pos Malaysia Bhd, believes that the success of any organisation is in the key development of their people’s Intellect Thinking. 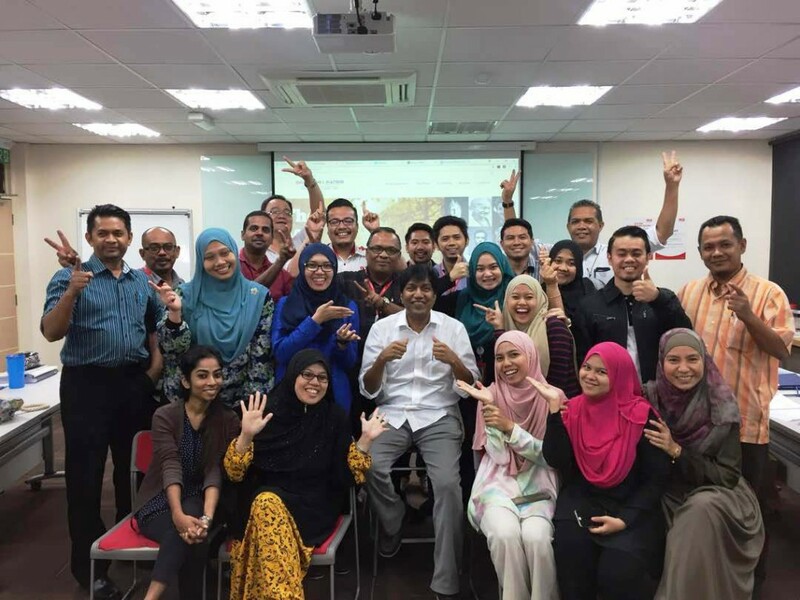 They are taking the lead as the first organisation in Malaysia to incorporate Intellect Thinking as part of their competitive edge under Industrial Revolution 4.0. 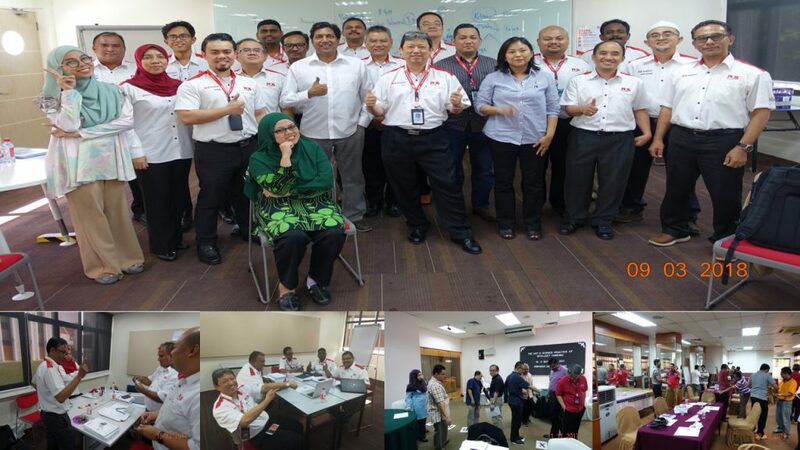 This initiative is led by their CEO (Mr Woo Kam Weng), COO (Mr Sarly Adle) and Head of HR & Admin (Puan Wan Anita), which is making a significant difference in Pos Aviation. 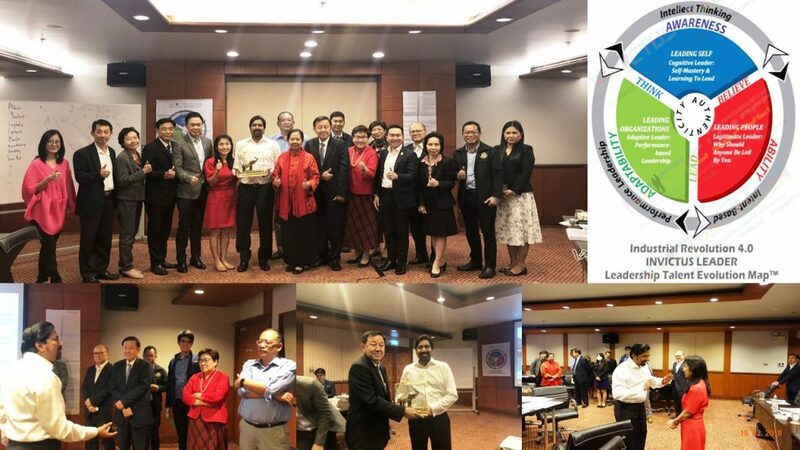 The 18-month journey on The Art & Science of the Practice of Intellect Thinking by Invictus Leader was completed on 10 March 2018 before they move onto the next phase, The Mark of A Leader (The Art & Science of Intent-Based Leadership and Results-Based Performance). 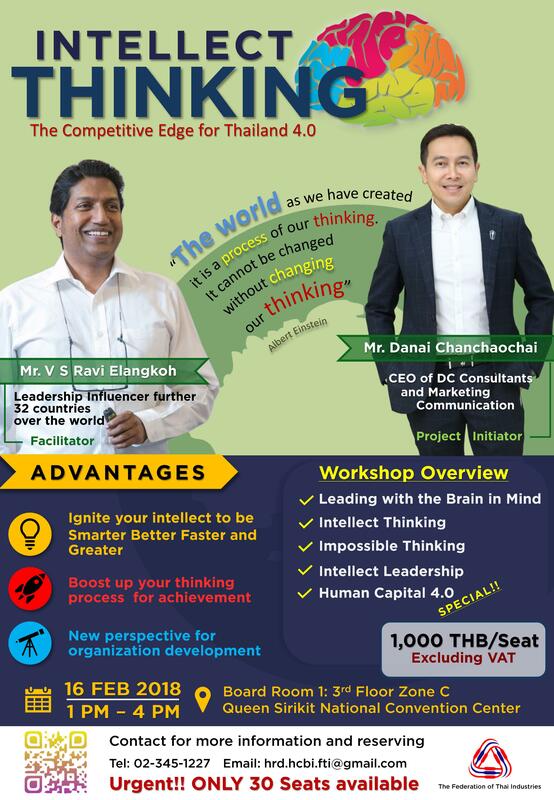 Human Capacity Building Institute for the Federation of the Thai Industries spearheading Human Capital Thailand 4.0 by integrating the first and only Leadership Development Talent Evolution Map™ methodology in ASEAN, which is designed in alignment with Industrial Revolution 4.0 and Beyond on 16 February 2018 in Bangkok, Thailand. Invictus is a Latin word that means unconquered or unvanquished. Invictus Leader is therefore committed to your continuous, sustainable growth as a leader despite the multiple challenges you face in today’s world of dwindling values, merciless competition and harsh macro-environmental factors. Leaders must think critically, creatively and conscientiously for today’s challenges and tomorrow’s opportunities. 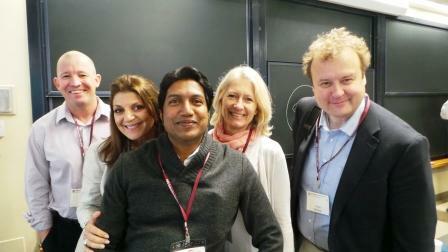 The right thinking processes within the right mind set and attitude can engender unlimited leadership learning. What thought is to the mind, belief is to the heart. To believe is to internalize your values and vision so steadfastly that your ensuing actions will reflect those beliefs. Leaders must believe in themselves and know who else to believe in. Throughout the course of history, leadership has been essential for mankind’s survival. Leaders must evolve or dissolve! Authenticity is the essence of true leadership; it is what makes a leader credible, inimitable and enduring. 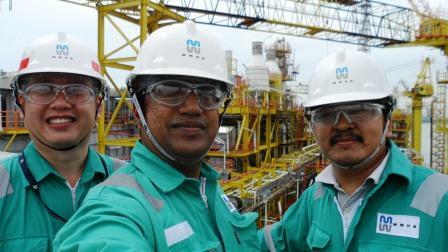 Our people have been involved in countless life-inspiring leadership engagements. Below are just a sample of those engagements. What differentiates INVICTUS LEADER from others? 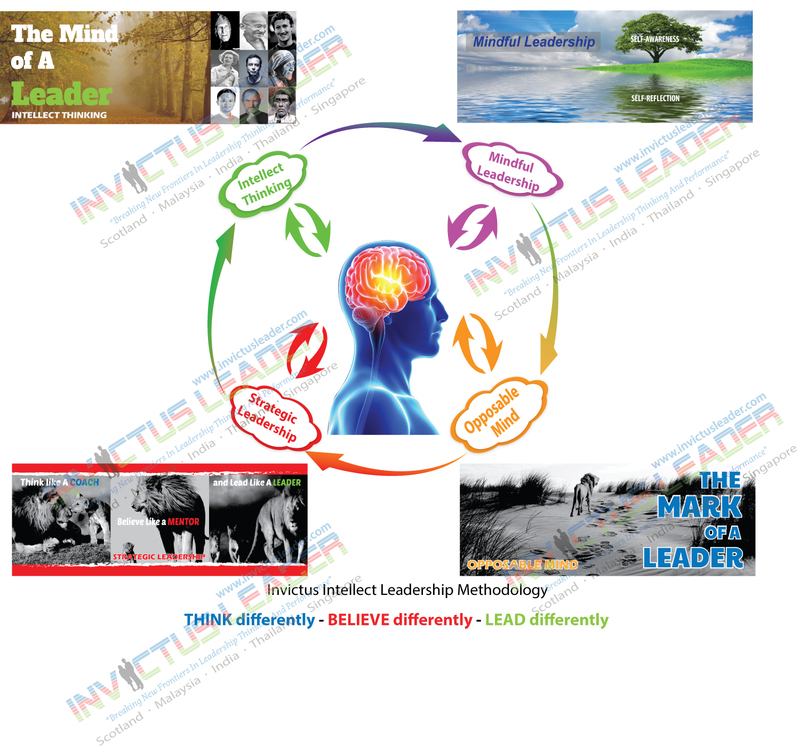 Invictus Leader is the pioneer of Invictus Intellect Leadership™. Read more about Invictus Intellect Leadership™. Invictus Leader is one of the forerunners in the field of brain-based leadership learning and is the pioneer of the Invictus Intellect Leadership™ Methodology (IILM). 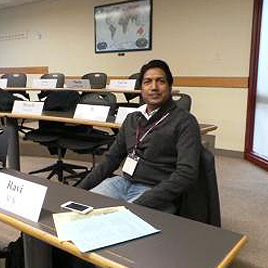 Read more about IILM. This is our flexible and proven learning framework, which has been honed through decades of hands-on experience and close collaboration with top-notched clients and consultants across the world. Read more about Industrial Revolution 4.0 – INVICTUS LEADER Leadership Talent Evolution Map™. Therefore We Believe Differently and We Lead Differently. One of the secrets of great leaders is the ability to THINK. Great leaders know how important it is to analyze themselves honestly first before knowing how to analyze other people and assess challenges. Only leaders with the courage to face themselves squarely are credible enough to lead others. Superior thinking is a precursor to self-mastery. True self-mastery is a prerequisite to other forms of mastery. Being exposed to knowledge is one thing; internalizing the right knowledge is another. Exceptional leaders constantly seek to internalize knowledge, not for self-serving snobbery but for self-development that seeks to serve others. Exceptional leaders believe in what they do and they do it exceptionally. The knowledge and skills that leaders accumulate through learning and experience must be demonstrable to others. The purpose of externalizing or applying your knowledge and skills is to produce real results for your teams and organizations. 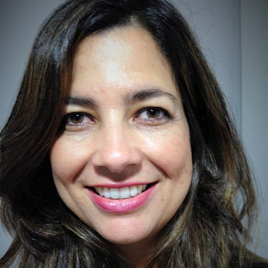 What you do and how you do it will be a powerful positive influence on aspiring leaders. True leadership nurtures development, not stunts growth. 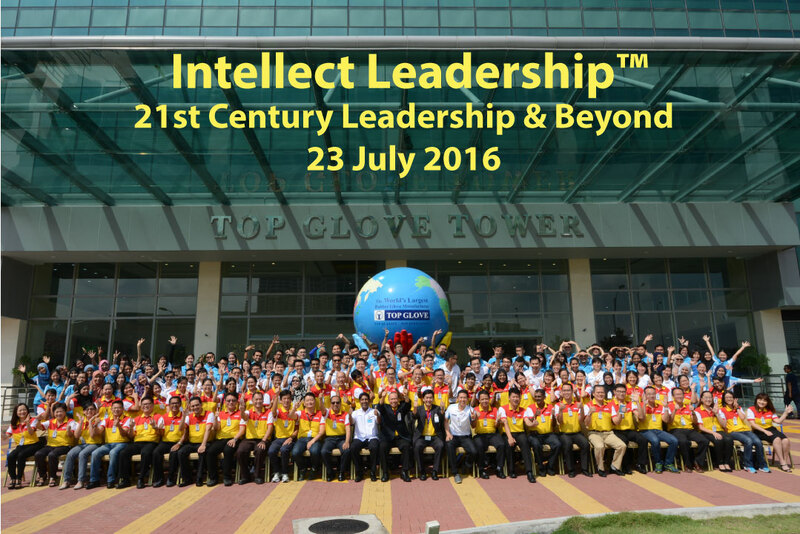 Why Choose Invictus Intellect Leadership™? An “Invictus Intellect Leader” is mindful that leadership is not undertaken for selfish motives. Although an Invictus Intellect Leader’s journey begins with knowing oneself and gaining self-mastery, it does not proceed or end with oneself. On the other hand, it is precisely because Invictus Intellect Leaders possess self-mastery that they know how to keep themselves from being central when it comes to achieving results for their organizations. Invictus Intellect Leaders can survive in red oceans, blue oceans and everything in between. It’s because they see possibilities where others see predicaments. Invictus Intellect Leaders are not blind to practical issues but their vision of possible outcomes will triumph over any obstacle. Invictus Intellect Leaders don’t get fazed by multiple options or conflicting ideas. Neither do they feel it necessary to settle for a single option. Instead they are adept at accommodating all the diverse perspectives and creating a new solution that is superior to each of those options. Invictus Intellect Leaders are so experienced and well-versed in their areas of expertise that, when combined with their superior thinking skills, they are able to intuitively assess people and situations at a glance. Such an ability is like second nature to Invictus Intellect Leaders. It is priceless! 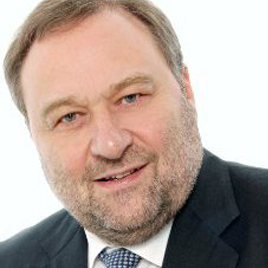 “Like most of you, I have had the opportunity to attend a number of programmes bearing the buzzword, “Leadership Skills”. Here at our organization, a high priority is placed on developing people talent, and for that, we worked with Invictus Leader to assess, identify and engage our key talent. The journey was exhaustive and highly innovative at the same time. 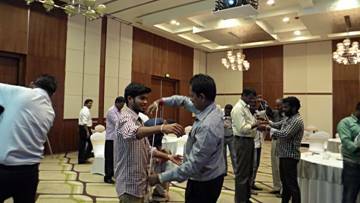 In the quest of realizing our intertwined strategic goals, the programme methodologies applied brought real utility to both the employee and the management alike. 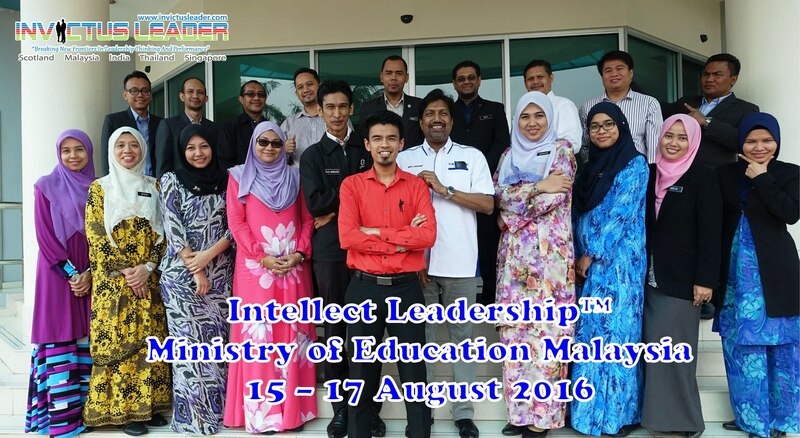 Believe me, this programme is truly different and sets the standard in terms of excellence! Frankly, it’s a pleasure to endorse V.S. 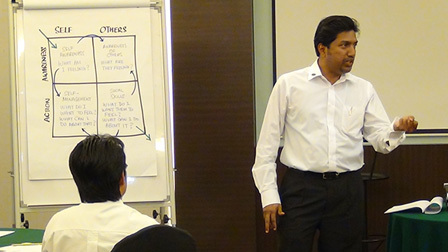 Ravi – a key enabler towards enabling this. 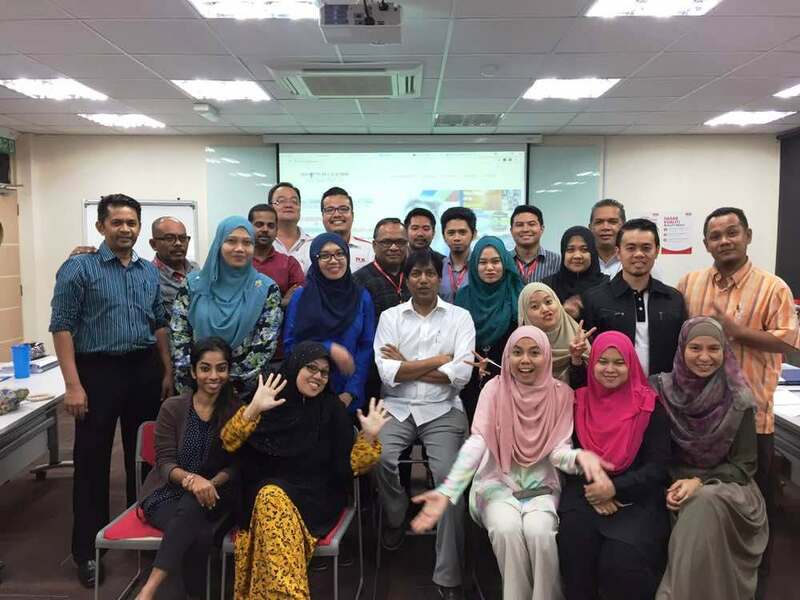 Arguably, one of the best practical programmes that I’ve been part of! We have a versatile, well-rounded team with diverse skills and rich cross-cultural experience in multinational corporations across the world. 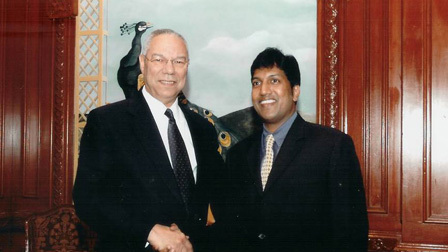 V. S. Ravi is the Founder and CEO of Invictus Leader. He is also an Invictus Intellect Leadership™ Mechanic & Architect, and a NeuroLeadership™ Cognitive Coach. 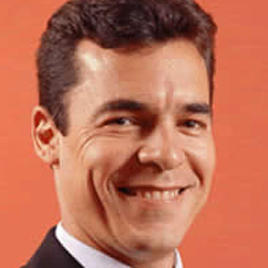 Marcos Nascimento is a trained professional educator who has contributed to companies in key organizational areas, both as a Consultant and as a Senior Executive. His areas of expertise include Top Team Alignment/Effectiveness, Change Management, Cultural Transformations and Leadership Practice.